The Massachusetts Treasury department is comprised of multiple departments and agencies that handle financial concerns, asset management, and advocacy. 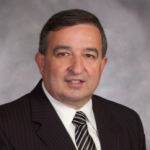 Jim MacDonald, First Deputy Treasurer of the Commonwealth, will provide an overview of the workings of the office of the State Treasury and how decisions are made to make things move as it relates to banking, cash flow, paying bills, and issuing debt. With Cannabis Industry being introduced in MA and other areas throughout the United States, one area that needs to further advance to support this industry is financial services. Come listen to a review of the industry and the inherent conflicts that exist between State and Federal Regulations in addition to their comments on “what is needed to service the Cannabis Industry from a Financial Services perspective”. Frank A. Segall and Scott Moskol, co-chair Burns’ Cannabis Business Advisory Group. In April 2017, Burns & Levinson announced the expansion of its newly named Cannabis Business Advisory Group, which helps clients navigate the complex legal and business framework that surrounds the rapidly growing marijuana industry in the United States. 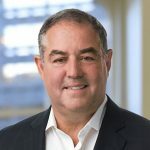 Burns was the first major Boston corporate law firm to develop a cannabis business practice three years ago – initially started as a medical marijuana practice – and is considered among the top law firms in the country with expertise handling high-level corporate and financing deals in the cannabis market. Approved for up to 1.8 CTP/CCM recertification credits by the Association for Financial Professionals. Approved for up to 1.8 FP&A recertification credits by the Association for Financial Professionals. On the local level, Jim has been a member of Dedham’s Finance Committee and elected member of the Dedham Charter Commission and Town Meeting. Currently, he is in his eighth term and Vice-Chairman of the Board of Selectmen, having served five times as chair. Jim resides in Dedham with his wife, Paula, and two sons, James and Stephen. He attended Boston State College and is active in St. Susanna Church in Dedham. He is also involved in many athletic programs for children and young adults with special needs. With a strong background in finance and business operations, Frank and his team regularly negotiate business deals including mergers, acquisitions, sales, syndications, loans, restructuring and equity investments. 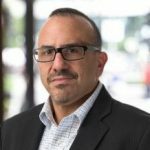 Frank works as outside general counsel to businesses throughout the world and has deep expertise in a broad base of industries including manufacturers, industrials, technology, transportation, retail and services industries as well as expertise in commercial lending and structured finance. Scott Moskol is a partner, and co-chair of the firm’s Financial Restructuring & Distressed Transactions and Cannabis Business Advisory practices, and a member of the Corporate, Finance, and Infrastructure & Public-Private Partnerships practices. He has developed a national platform representing and counseling clients with respect to all legal issues that may arise in restructurings, workouts, bankruptcies, receiverships and other insolvency-related matters.